With appropriate technique, you can also float prone, belly down. In this position, the pressure from the growing weight of your uterus is completely released. Letting the saltwater take the strain for you can be a wonderful relief. Sidelying is also possible if you use our float cushions and pool noodles for support. Float tanks are also filled with Epsom salts, long suggested as a home remedy for many pregnancy-related ailments. Pregnancy is an emotionally intense time, and frequently a spiritual one. Floating can provide the ideal environment for processing and exploring the experience and the connection with your baby. 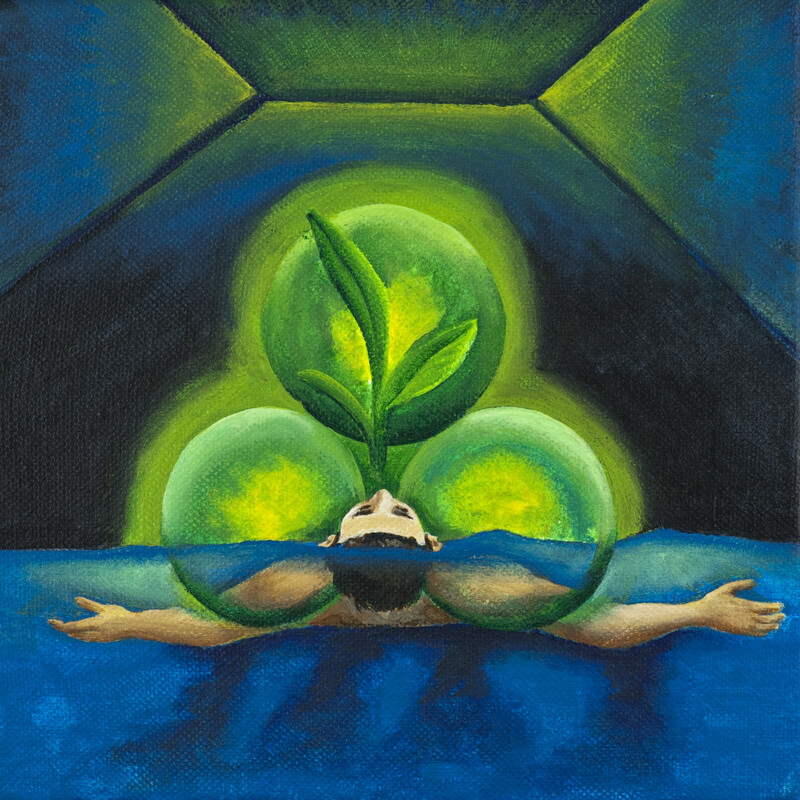 If you’re interested in hypno-birthing or related disciplines, floating can be an excellent natural counterpart therapy. The deep trance attainable in the tank — a measurable altered state of consciousness — has been shown to meaningfully increase hypnotizability. Get practice attaining it in advance of labor. After giving birth, a new mother hardly expects a let-up from the stress and insomnia. Check with your health care provider how much of a break you should take for physical healing, but once you’re cleared to return, nobody needs the powerful restfulness of an escape to the float tank like a new mother does. Postpartum depression is a sadly common reality for many mothers. That is yet another thing floating can help with. It’s crazy how many things there are! But it’s powerful medicine for the mind, and the mind gets involved in everything. Pregnant women are advised to avoid hot baths over 100°F, but there’s no need to worry about floating. Tanks are carefully maintained at skin temperature, 93-94°F. See our other posts related to pregnancy.